The beautiful and extensive range of Jetmaster gas fireplaces offer the look of a wood fireplace with a stylish, easy-to-use appeal. They superbly warm the room while providing a tasteful ambience. The feature-packed range is limited only by your imagination, while the variety of fascias and finishes cover contemporary to traditional looks. 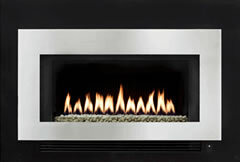 Remote control options make this the ultimate in heating and convenience. Nothing creates an inviting atmosphere quite like a Gazco fire. The centrepiece of any home, a Gazco fire adds warmth and character to a room or living space - even if you don't have a chimney! Whether you want to achieve an up-to-the-minute, contemporary look or have your heart set on a more traditionally designed fire. Rinnai New Zealand has a full range of inbuilt designs - design your own look from a range of frame options. Escea models combine innovative contemporary design with quality of the highest magnitude and give you a wide choice. 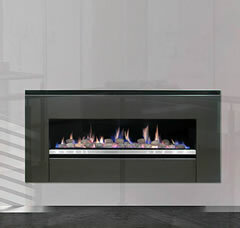 Whether you want a decorative fire in your bedroom or a high heat output fire place for your main living area, Escea's extensive range of indoor fires will satisfy your needs and desires. Gas creates fast, convenient and easily controlled heat. If you already have gas appliances, then it makes economic sense! You can customise your fire. If you love the feel of a wood fire, logs are a natural choice. 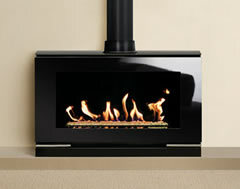 If your home has a more contemporary feel, then crystals or volcanic stones deliver a sleek feel to your gas fire.